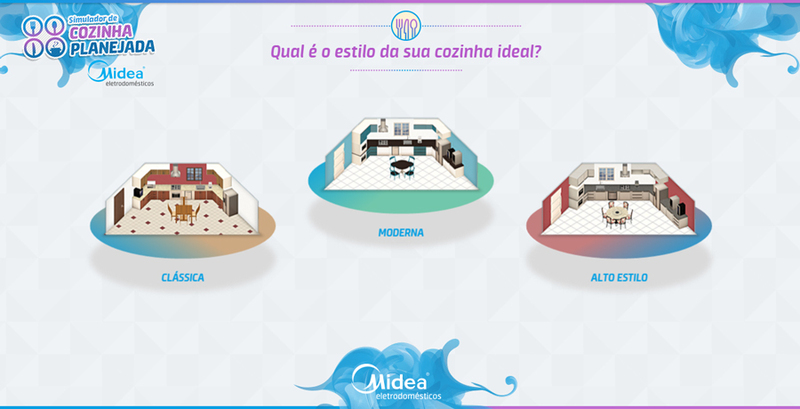 For this, Cafundó has created a kitchen simulator planned for Midea that helps his customers to visualize the final composition of their kitchen so dreamed in minutes and very simple and fun way. 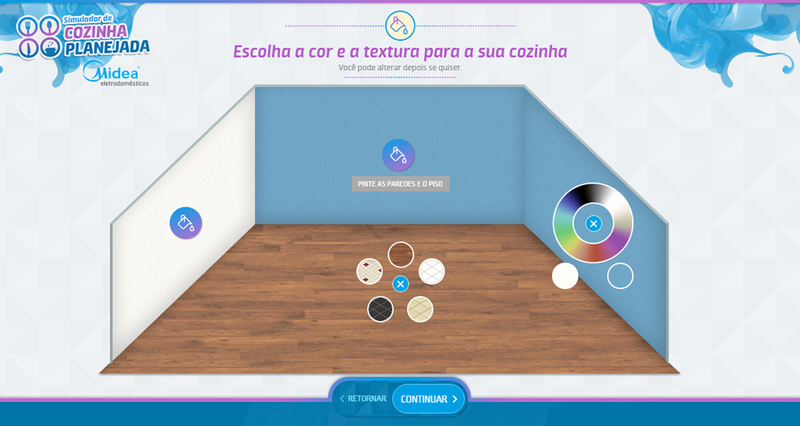 Create a virtual environment that ensures good quality prototype view regarding the actual cooking is not easy. 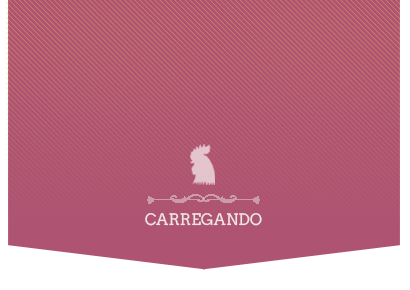 In addition, you need to take care that the project has good usability and guarantee the user to perform actions without difficulty or questions. 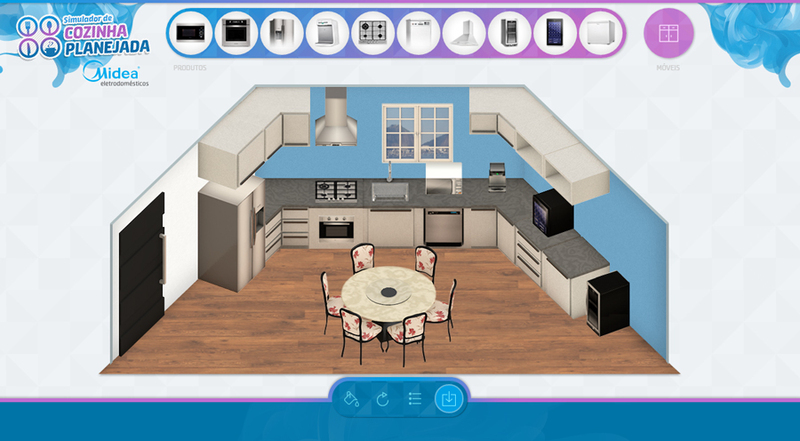 For this, after many brainstorms with the development team and computer graphics, we decided to construct the ideia in an isometric view with three walls, giving greater freedom for the consumer to mount exactly your kitchen. 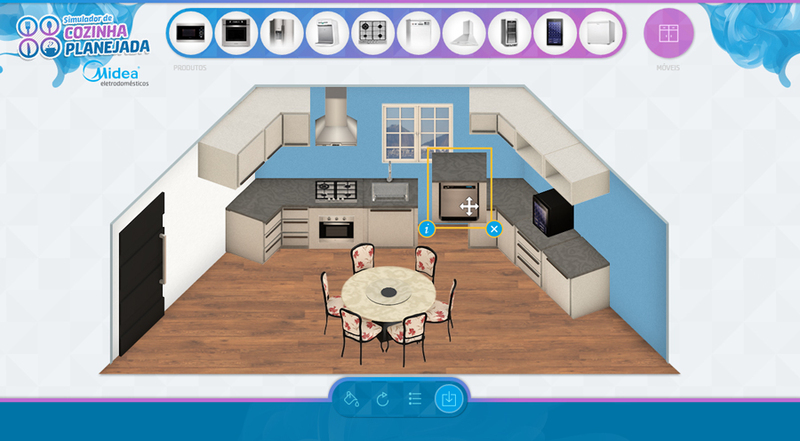 The styles were set to three different environments and also some customization options, ranging from custom floors, up walls that could be painted by the user. All modeled to ensure a great number of customization options to the consumer. But and there, did you already try it? Let’s see the results of the platform?